Melbourne is such a wonderful city, rich in culture and considered the art capital of Australia. Around every corner, you will find a quirky little cafe and an interesting masterpiece of graffiti. Melbourne is a great shopping district with a bustling cafe scene but it offers more than just grown-up fun. There are plenty of things for kids to see and do and even parents will enjoy a family day out in Melbourne. All of the activities are either offered free or at a very affordable rate. Adults can join in on the fun with the kids, if they want to, or they can drop them off and wander around the more adult style art exhibitions of Federation Square. Kids and adults will be mesmerised by the UV lighting of Docklands indoor glow in the dark mini golf centre. The course features 18 holes and the decorations on the wall wonât be the only things glowing. You are guaranteed to see how much your kids are enjoying the game by the fact that their faces will be glowing with a white grin from ear to ear. There are many places families can visit to give children a fun and informative day out. 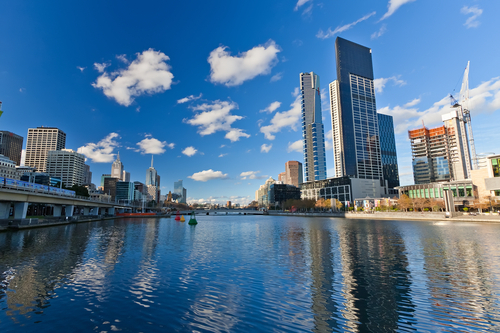 The list below offers just some suggestions for an action packed family day in Melbourne. Melbourne Aquarium is home to the largest collection of sea horses in the world! Here, kids can get up close and personal with sharks and stingrays in the tunnel, watch penguins waddling in their enclosures and touch hermit crabs and blue-tongue lizards in the touch and feel area. Children and adults of all ages are sure to be impressed by the wide range of sea life on display at Melbourne Aquarium. A visit to Melbourne Museum is a fun and interactive way for kids to learn about Australian and world history. The museum is home to the world famous racehorse, Phar Lap, as well as a complete blue whale skeleton. Kids are sure to be amazed and filled with wonder as they wander around the exhibitions. Melbourne Zoo is home to over 300 different animal species, housed in habitats that closely mimic their natural environments. Children and parents will love watching all of the animalsâ funny behaviour as well as learning about animal conservation. You can even take a behind the scenes tour to get even closer to the animals. Take a tour of Australiaâs oldest prison and see the cells where Ned Kelly and other bushrangers were held. Wander around the old court room and take a ghost tour at night, if you dare. ACMI is home to memorabilia and props of classic TV programmes such as Astroboy, Play School and Blinky Bill. There are always fascinating touring exhibitions and workshops on at the centre, too. Your kids will be thrilled to learn about the classics and also take a behind the scenes look at some of their favourite modern films and cartoons. A fun day out will be had by children and parents. For fun and affordable family days out in Melbourne, take a tour of at least some of the above listed precincts and places. Your kids are sure to thank you and you are bound to enjoy yourselves, too.